Why would you ever want to take six hours from your hectic daily schedule and spend it in traffic school? 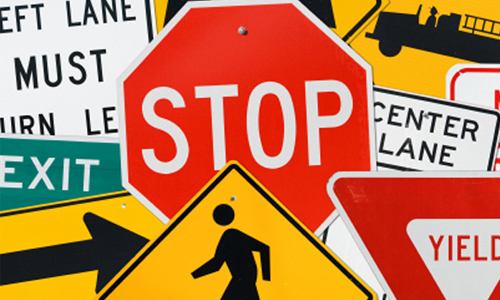 Believe it or not, there are a few reasons why you might be motivated to take a course on defensive driving in Texas. Most people you’ll find at a driving safety course are not there voluntarily. They have received a traffic ticket. In the Texas State Code of Criminal Procedure, Article 45.0511, you may in some cases have tickets dismissed by taking a state approved course in defensive driving. In order to qualify, you cannot have taken a course in defensive driving in the past year. You must prove this to the court by providing them with a certified copy of your personal driving record. Speeding tickets, and most other minor moving violations, can be dismissed if you attend a course on defensive driving in Texas. In order to request this particular option, you must contact the court in writing or appear in person. The assigned judge for your case is responsible for handling your request, but usually, if you have a good driving record, it is not a problem. The judge will generally give you 90 days in which to complete the defensive driving class. Why Take the Defensive Driving Course Rather than Pay the Fine? If you pay your fine and do not elect to attend a defensive driving course, that ticket will be on your driving record. If that happens, you could have the state, as well as your insurance company, after your money. The Driver Responsibility Program in Texas is an initiative to create improvement in drivers of the state. Under this state program, if you get six points on your driving record in the span of three years, you will have to pay an extra $100 surcharge to the state. If you go over six points, each additional point costs another $25. One moving violation equals two points. If that violation results in a traffic accident, it is worth three points. It does not take many tickets to place yourself in danger of higher fines. That’s why, if the option is offered, it’s important to attend a course for defensive driving in Texas, and have the ticket dismissed. You will also find that insurance companies add surcharges to your premiums, if you get traffic tickets, even before you reach the six-point level. If you take a defensive driving course, which will allow you to have your ticket dismissed, your insurance rates will not increase. By law, you cannot be charged for a ticket if it is dismissed. In addition, most insurance companies offer you and their other policyholders a discount for driver improvement, if you take the course. This discount is usually about 10%, according to the Texas Department of Education website, and it is valid for three years. Even if you haven’t gotten any tickets, you can take the course for defensive driving in Texas. It’s an excellent investment. Once you have completed the course, the school for driver safety will send you a certificate of completion by mail. You can take this to court or present it to your insurance provider. It may take as long as 15 business days for your certificate to arrive, so don’t wait until the last minute to take the course. If you attend an IMPROV Defensive Driving class, we will send your certificate to you by first class mail on the same day you finish the class, as long as it is before 3 pm. If you need your certificate in an even speedier manner, we can send it to your overnight via FedEx. Just pay an additional $22.75 for the expedited shipping.